iCalendar is a file format (.ics) which is used and supported by a number of calendar applications including Google Calendar and Apple Calendar. 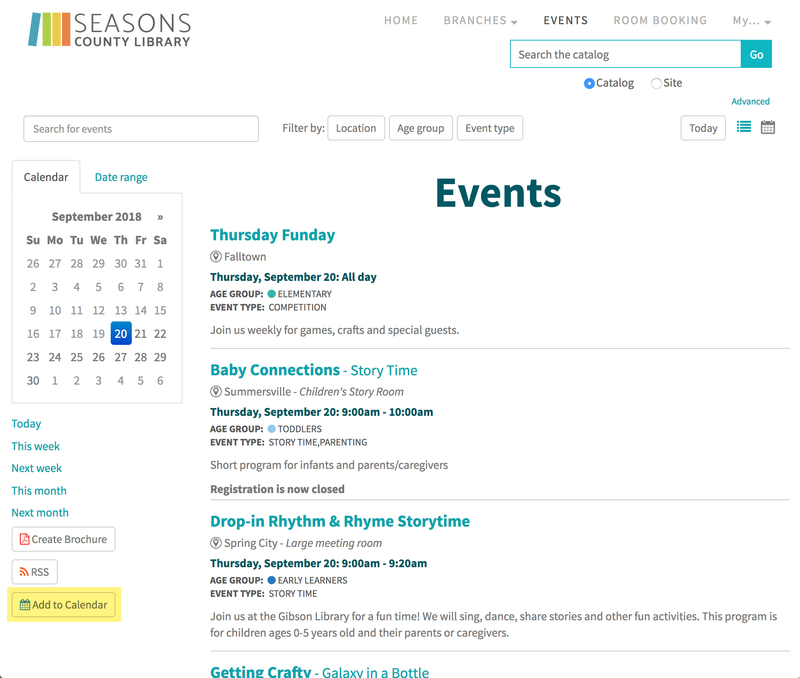 You can generate custom iCal events feeds straight from your events listing page. These events can then be added automatically to your preferred calendar. Note: The iCal feed option needs to be enabled - you may have to contact Communico to have this setting turned on). By default, a feed of all event types and all event groups at all locations will be generated, but you can use the filters to narrow to only the events you want to add to your calendar. Click the Add to Calendar button. Open your preferred calendar application. 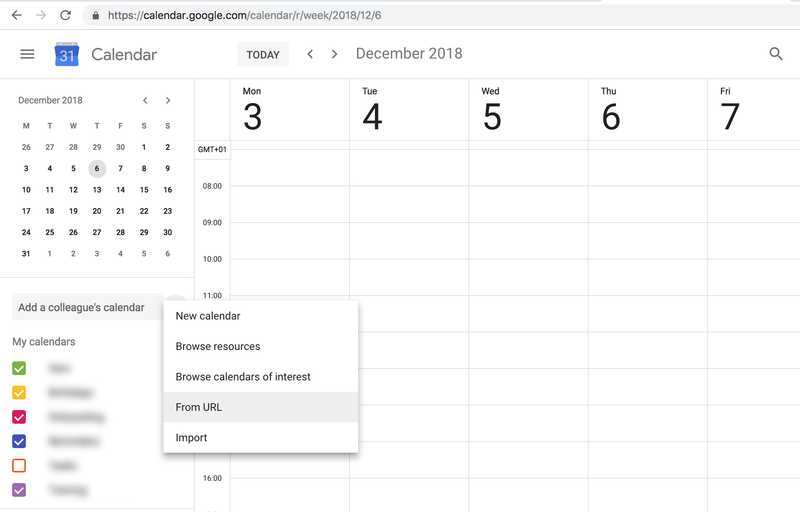 We have shown examples for Google Calendar and Apple Calendar, but the method of adding a url feed will be similar for other calendar applications. Create a new calendar or calendar subscription. (Options will vary depending on your calendar). Paste the copied url into the feed field and save. You can name the feed and there will be options to choose how often the feed checks for updates. Some calendar applications allow you to import an .ico file. For this option, click the Download File button. The file will be downloaded to your computer or device and can then be uploaded to your calendar application.